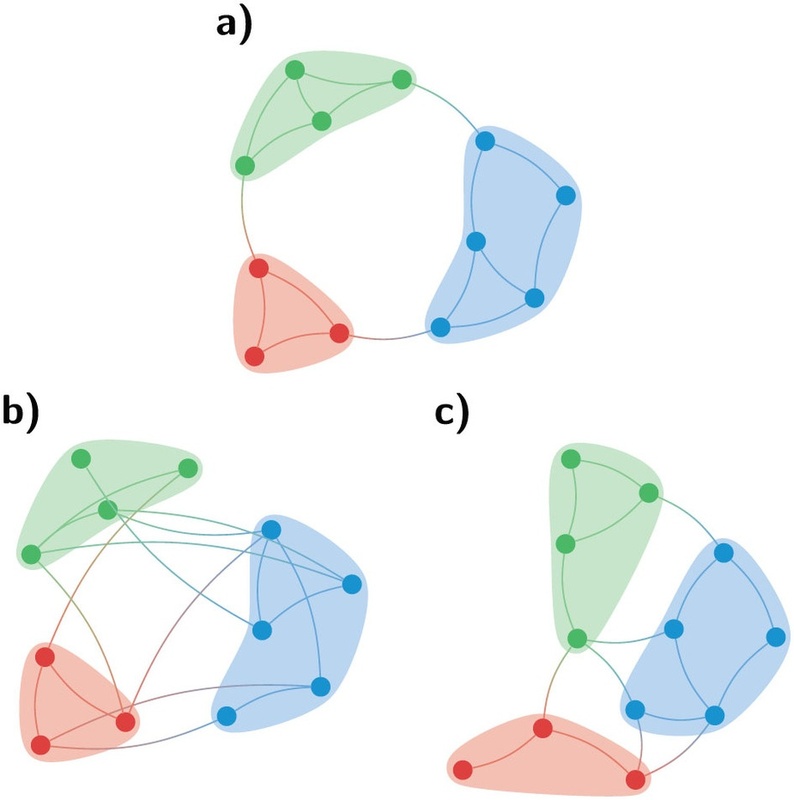 Many complex networks show signs of modular structure, uncovered by community detection. Although many methods succeed in revealing various partitions, it remains difficult to detect at what scale some partition is significant. This problem shows foremost in multi-resolution methods. We here introduce an efficient method for scanning for resolutions in one such method. Additionally, we introduce the notion of “significance” of a partition, based on subgraph probabilities. Significance is independent of the exact method used, so could also be applied in other methods, and can be interpreted as the gain in encoding a graph by making use of a partition. Using significance, we can determine “good” resolution parameters, which we demonstrate on benchmark networks. Moreover, optimizing significance itself also shows excellent performance. We demonstrate our method on voting data from the European Parliament. Our analysis suggests the European Parliament has become increasingly ideologically divided and that nationality plays no role. Networks appear naturally in many fields of science, and are often inherently complex structures. By looking at the modular structure of a network we can reduce its complexity to some extent, yielding a “bird's-eye view” of the network1, 2, 3.
for the “cost” of a partition σ. Here Aij is the adjacency matrix, which is Aij = 1 if there is a link between i and j and zero otherwise, σi denotes the community of node i, and δ(σi, σj) = 1 if and only if σi = σj and zero otherwise. This is a slightly more simplified version of the approach by Reichardt and Bornholdt4. We will restrict ourselves here to simple, unweighed graphs. Different weights aij and bij give rise to different methods. One can imagine for example taking the number of common neighbours as weight bij, the distance of the shortest path or some transition probability in a random walk. Many methods have been developed over the years, but the most noteworthy method is that of modularity5 which uses aij = 1 − pij, bij = pij where pij is some random null-model. It has risen to prominence because it showed encouraging results in various fields, ranging from ecology6, 7 and biology8, 9 to political science10 and sociology11.